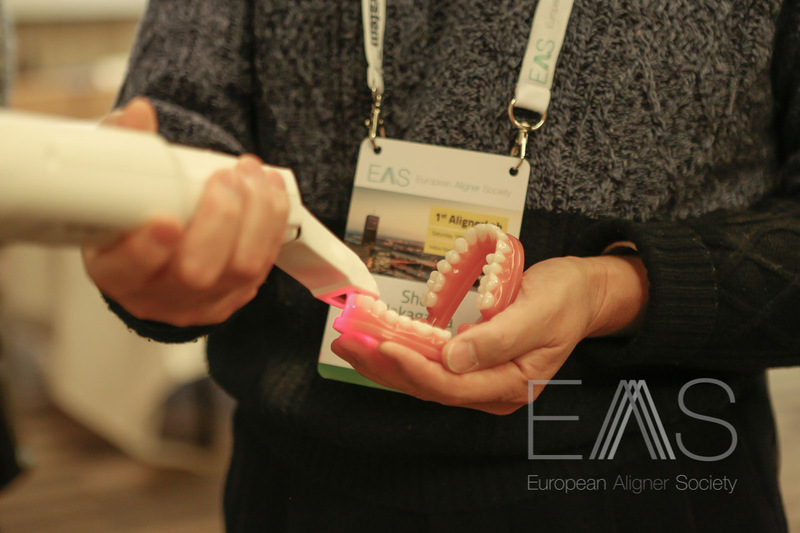 The European Aligner Society was launched in May 2014 through the combined enthusiasm of 6 clinicians with a passion for aligner therapy. 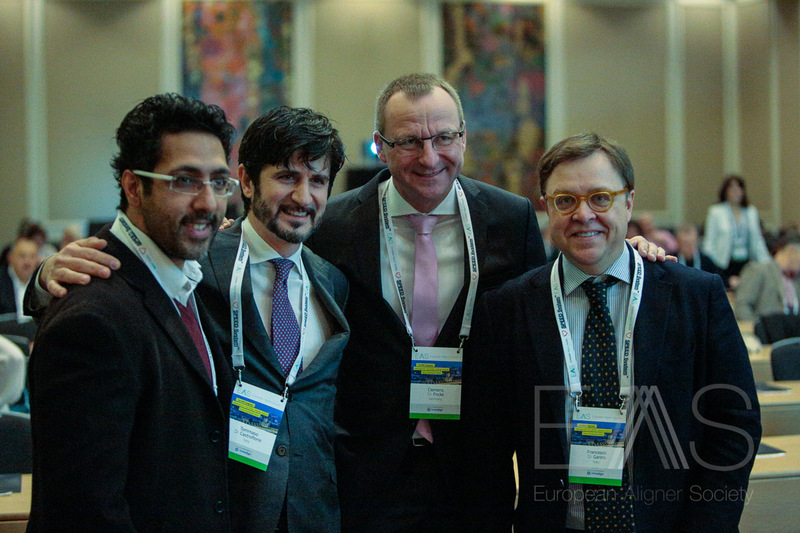 The original concept, raised in a late-night post-meeting session in Amsterdam, resulted in the formation of a registered Society, with 5 founder members – Dr Tommaso Castroflorio, Dr Clemens Fricke, Dr Graham Gardner, Dr Francesco Garino, and Dr Leslie Joffe. 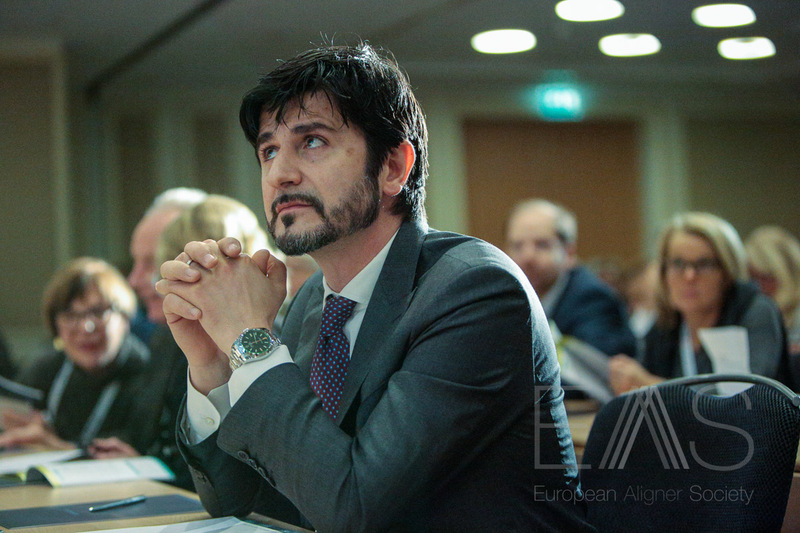 Dr Juan Carlos Rivero Lesmes joined as a director soon thereafter. 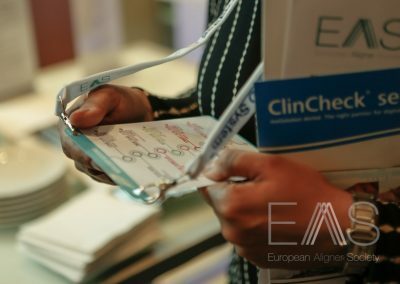 The 6 clinicians directed the fledgling EAS on its path as a scientific society, whose aims are to provide information and education on aligner therapy, a treatment modality which has shown an incremental growth in interest over the last decade amongst both clinicians, patients and technology companies. 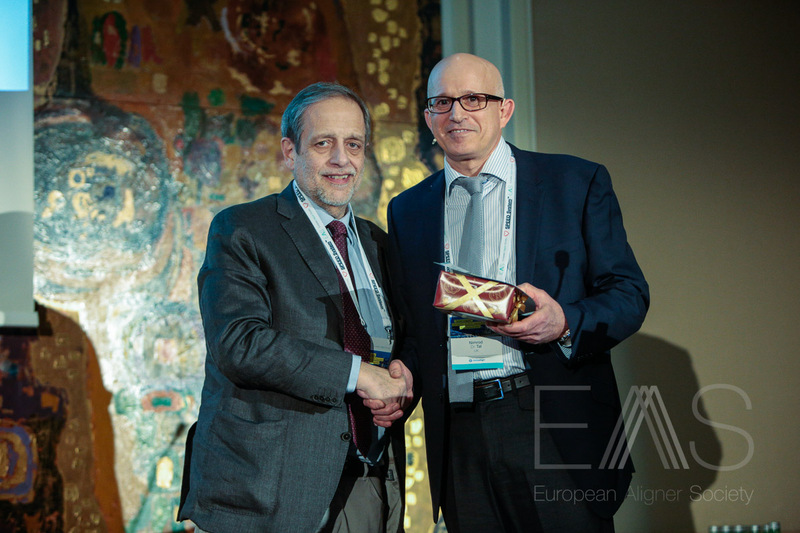 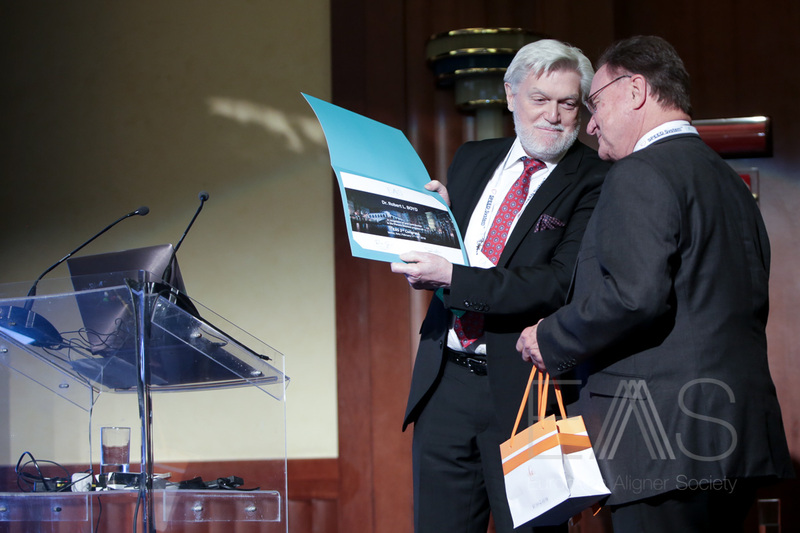 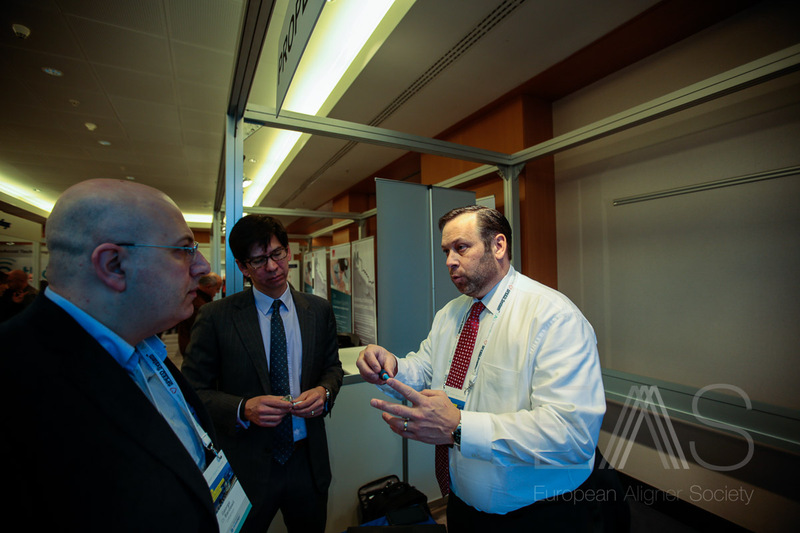 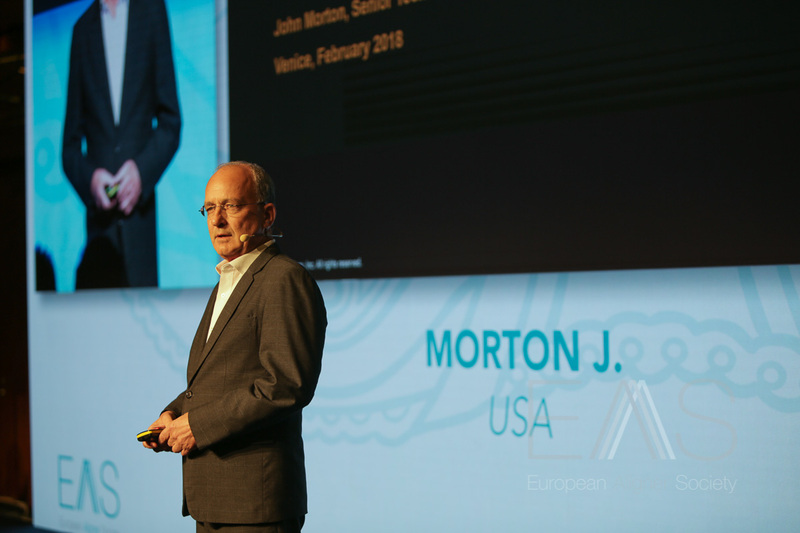 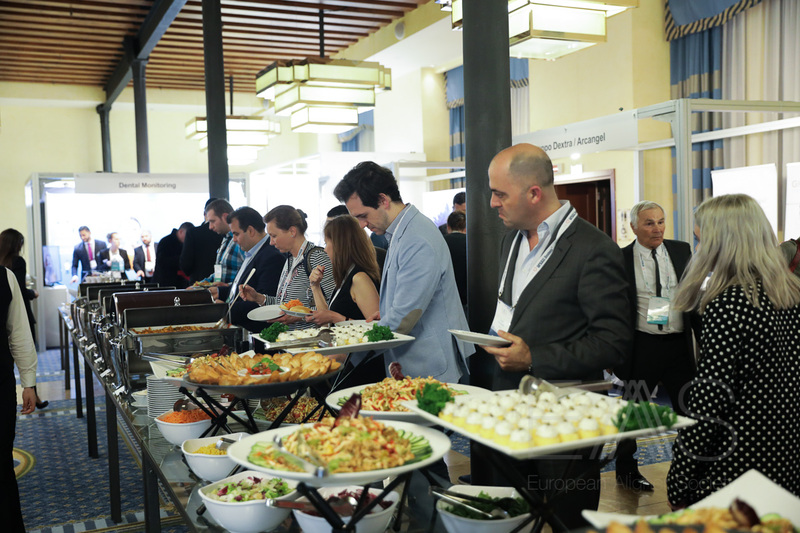 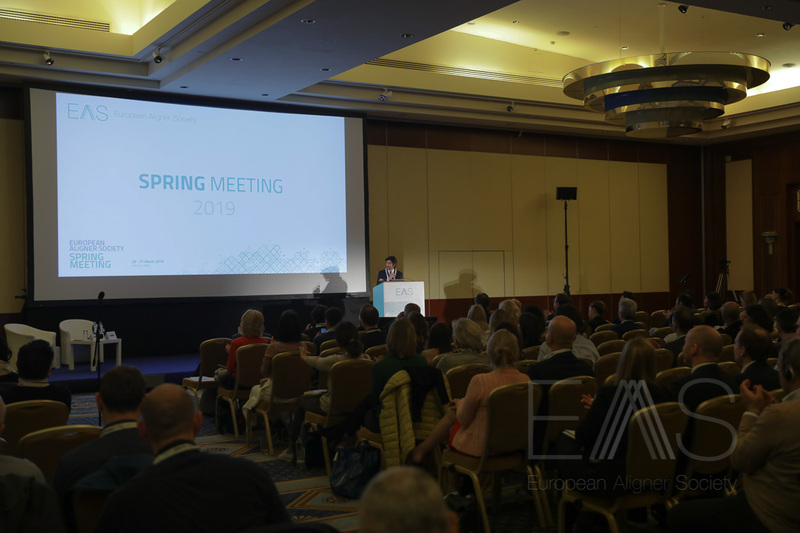 The European Aligner Society’s Spring Meeting attracted 354 delegates from 41 countries to Venice between March 29-31 2019, so was truly an international forum for disseminating expertise about clear aligner therapy. 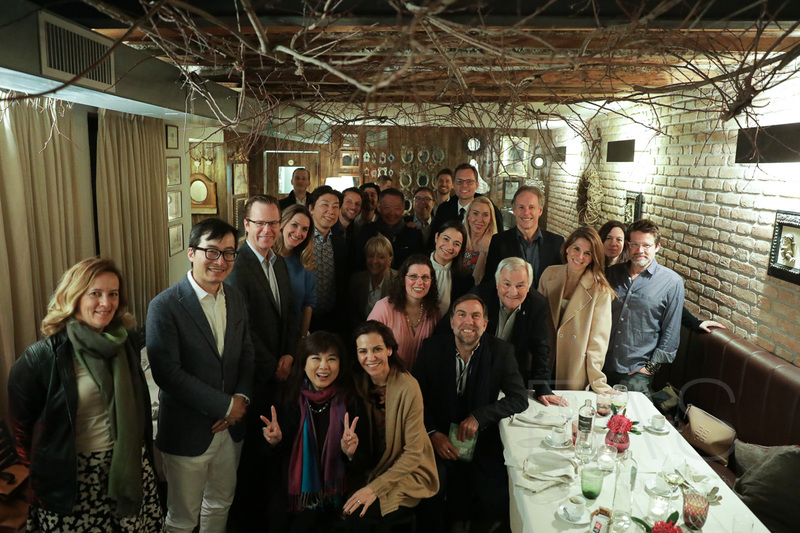 It was a true reflection of the way a shared passion can bring people from diverse countries together. 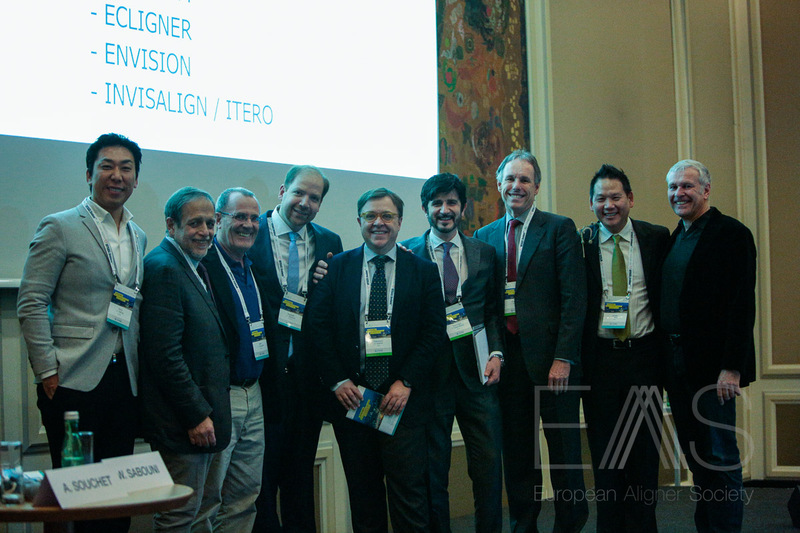 The Society’s education committee had curated a progressive programme which explored the rapid and perpetual advances in technologies and techniques related to aligner orthodontics and had attracted an International line-up of expert and renowned speakers to deliver the lectures. 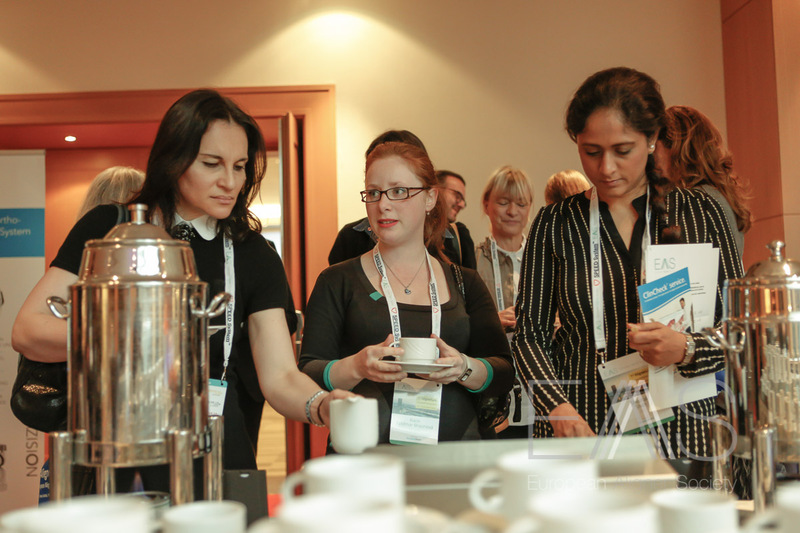 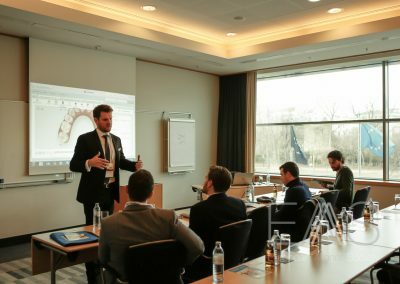 The programme kicked off with a pre-congress workshop series covering hot topics in aligner orthodontics from accelerated treatment options, advanced monitoring to CBCT integration. 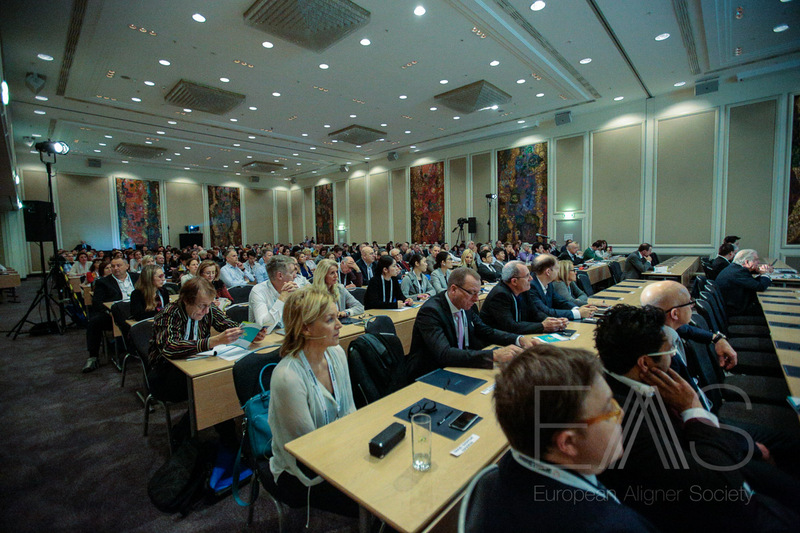 The main plenary programme on day two traversed the treatment modality from aligner biomechanics, teen treatment, finishing tips, complex treatments, 3D diagnosis and treatment planning, as well as the integration of restorative treatment options and planning and how it fits into the Digital Smile Design concept. 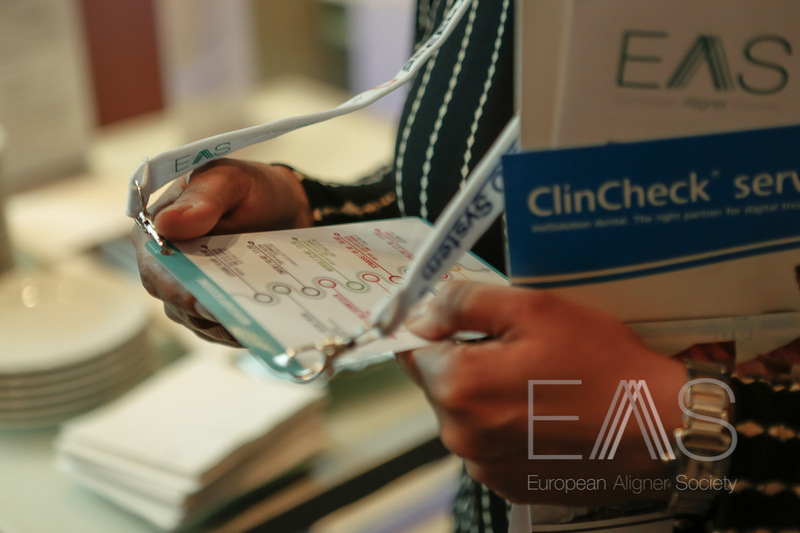 Patient care also formed a core plank of the programme. 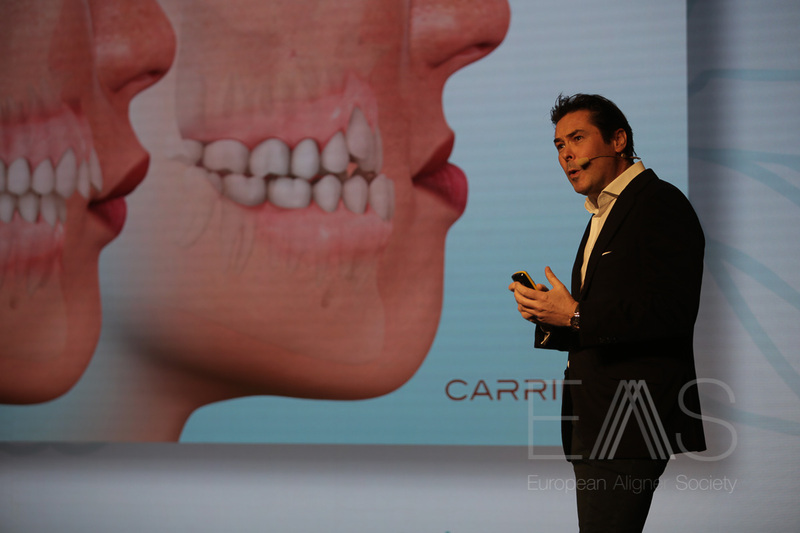 Highlights of programme included Dr Sean Carlson from the USA who presented ways of enhancing orthodontic treatment and diagnosis using 3D technology. 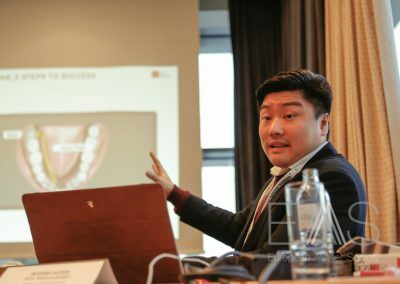 From west to east Dr Stephen Chang from Taiwan delivered his Insights into aligner biomechanics and was followed by Dr Julia Haubrich from Germany who shared her experiences treating teens with aligner orthodontics. 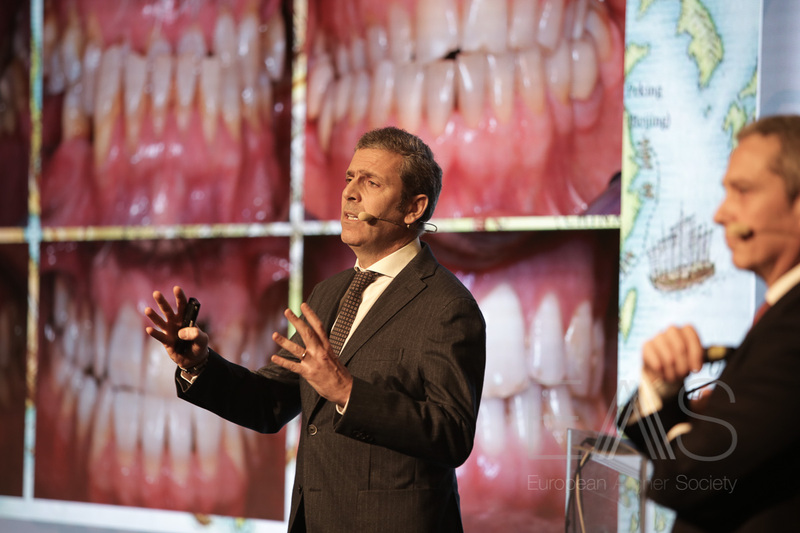 Spain’s Dr Christina Viyula offered her keys for a perfect finish, and the management of the posterior open bite whilst Dr Federico Migliori from Italy followed with a lecture of asymmetries and aligners, from digital planning to treatment mechanics. 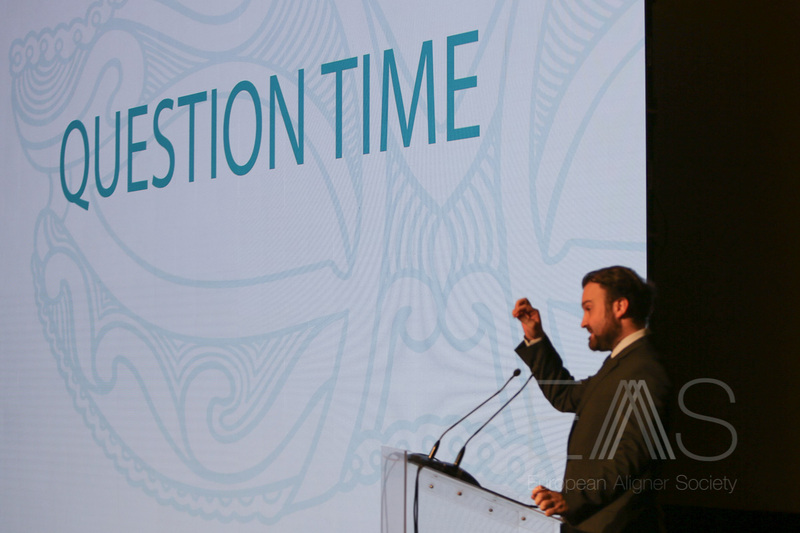 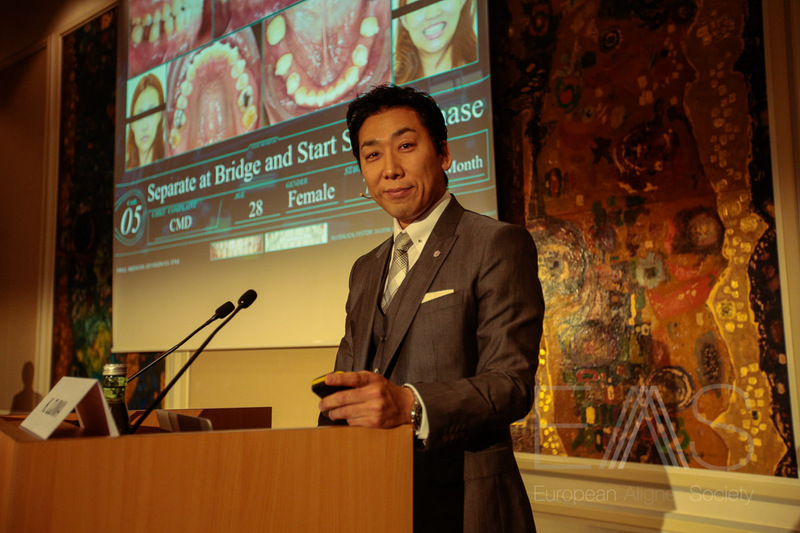 Japan and Brazil converged in the final lecture of the plenary session with Dr Christian Coachman and Dr Kenji Ojima enlightened delegates about how to stay ahead of the game with Dental Smile Design and aligners. 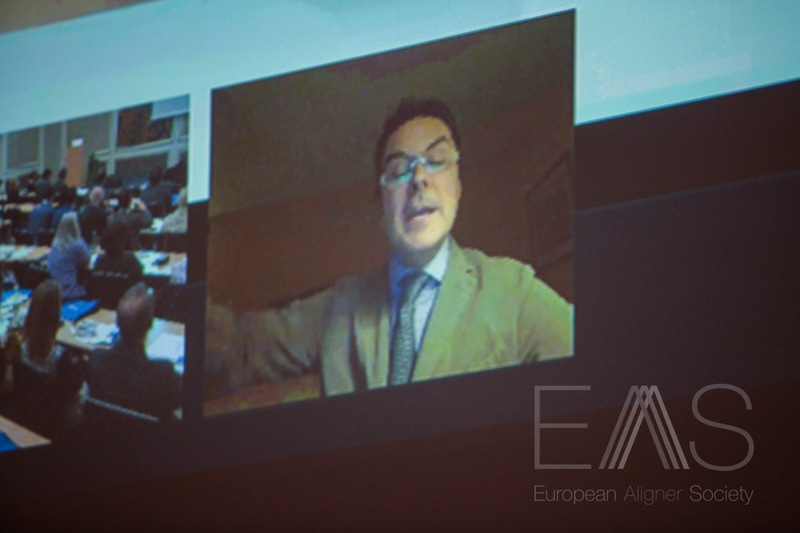 This dual presentation featured Dr Coachman on the big screen live from the USA and Dr Ojima on stage. 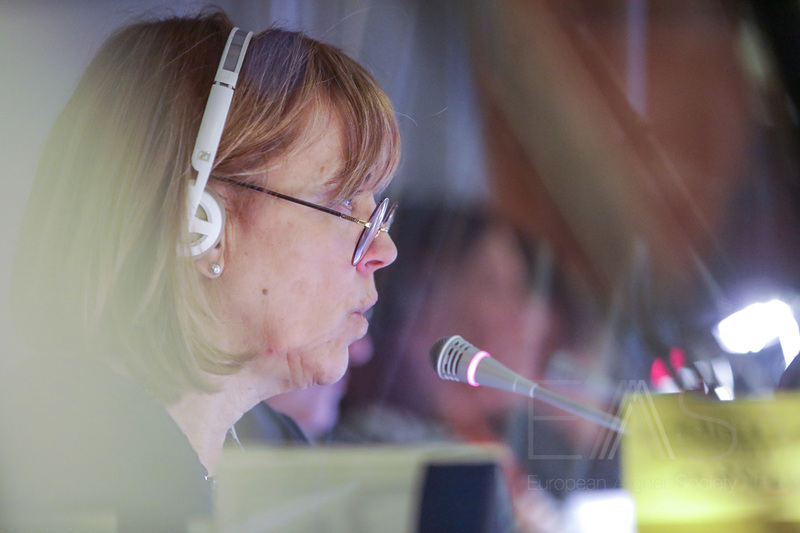 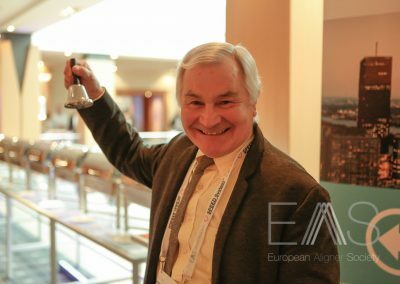 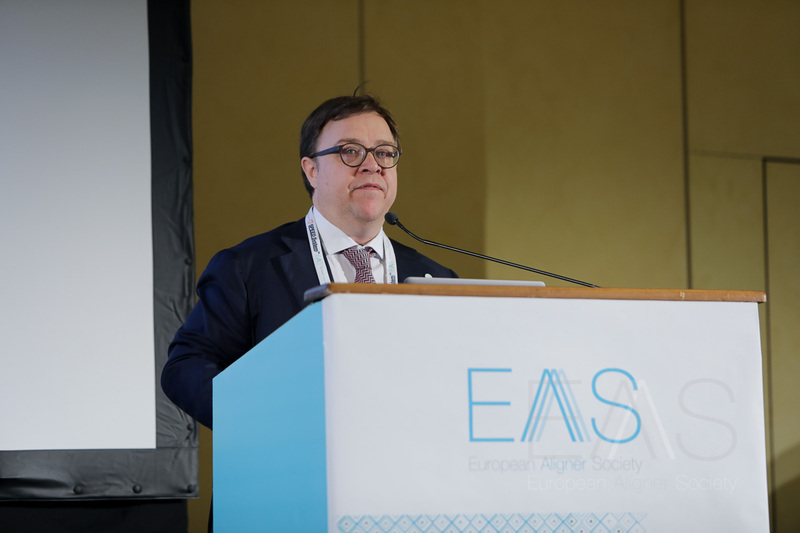 It was with great excitement that EAS approached its next international Congress in February 2018 in the breath-taking atmosphere of Venice. 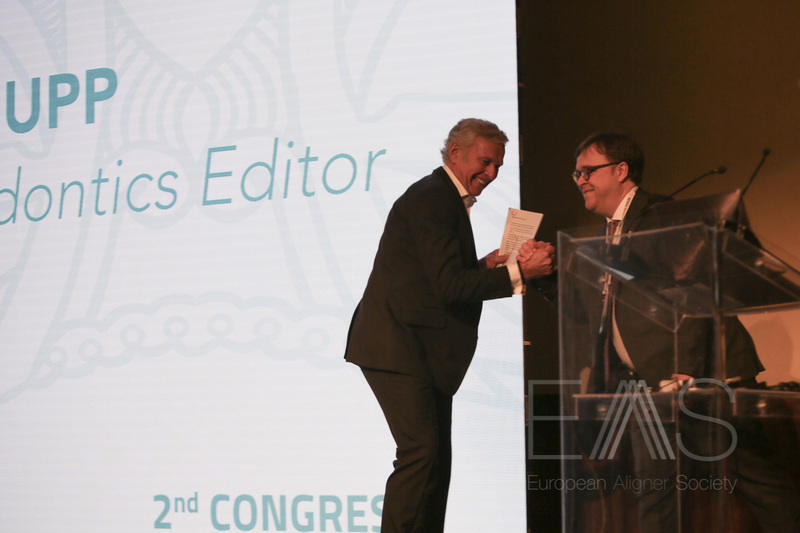 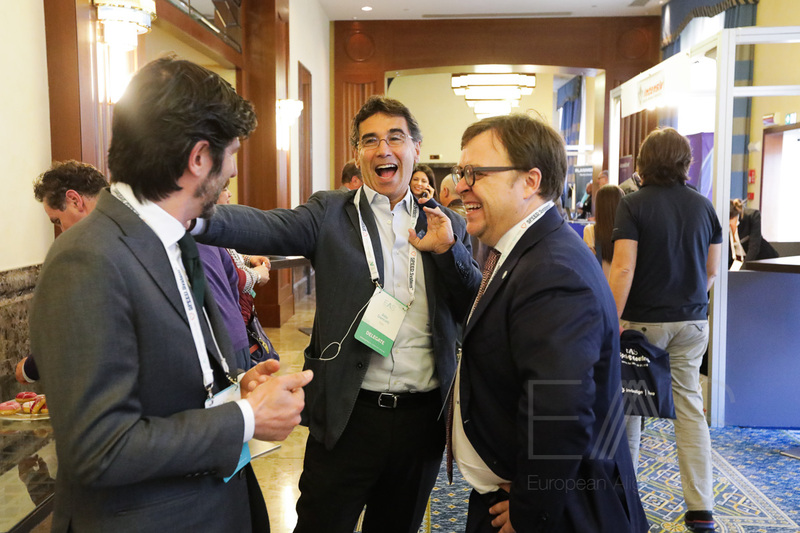 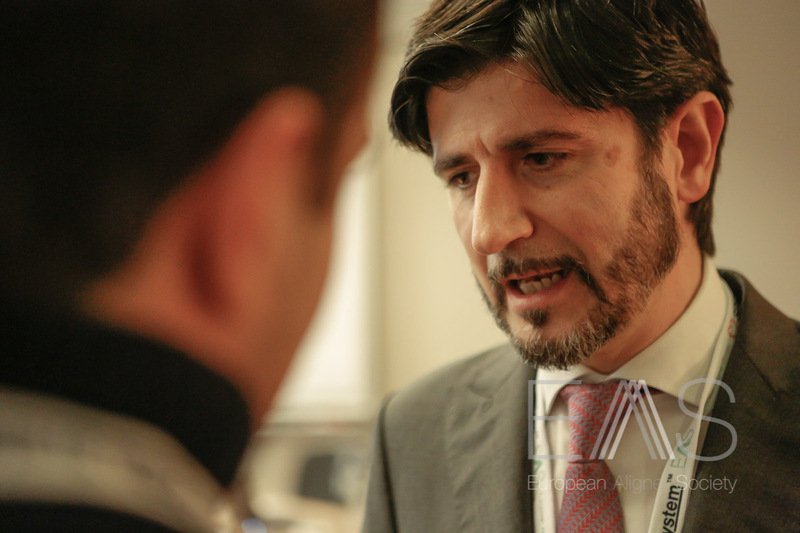 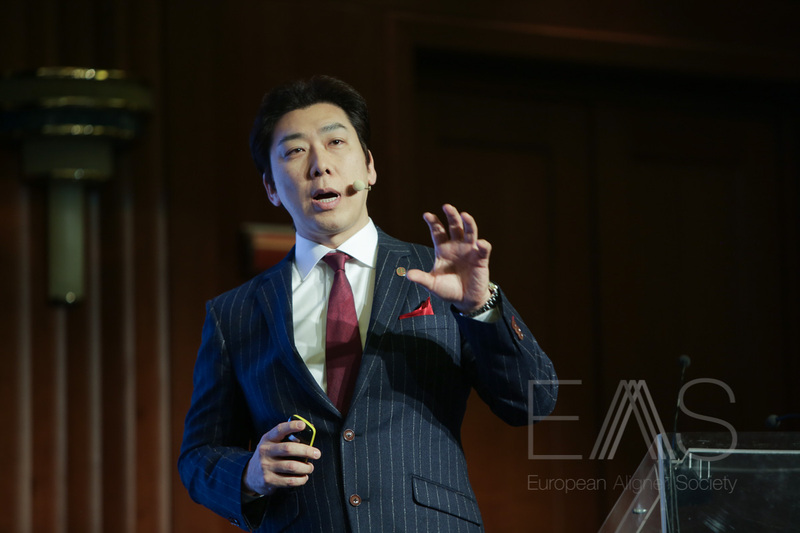 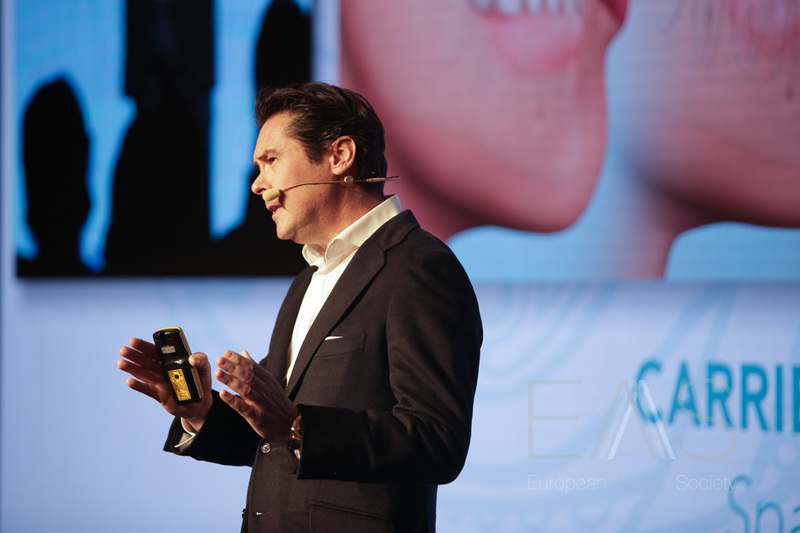 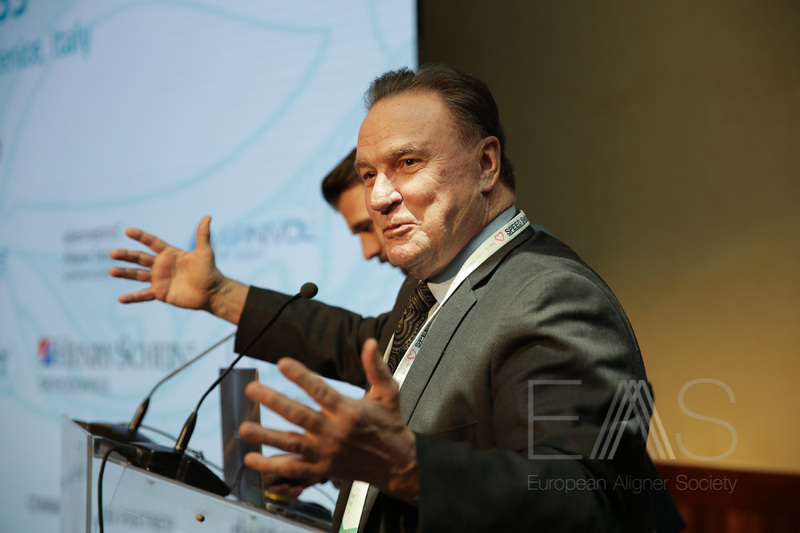 Hosted by the 2nd President of EAS, Dr Francesco Garino, the congress promised to update delegates on the exciting progress taking place in the world of aligner therapy. 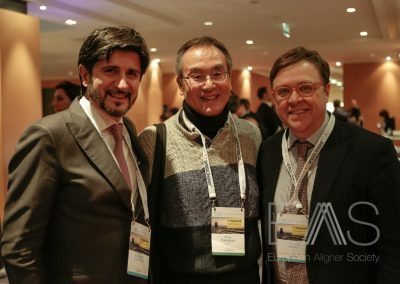 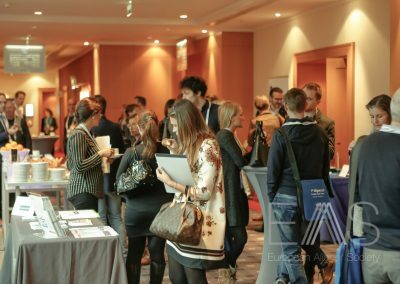 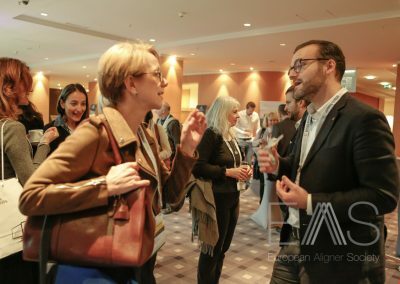 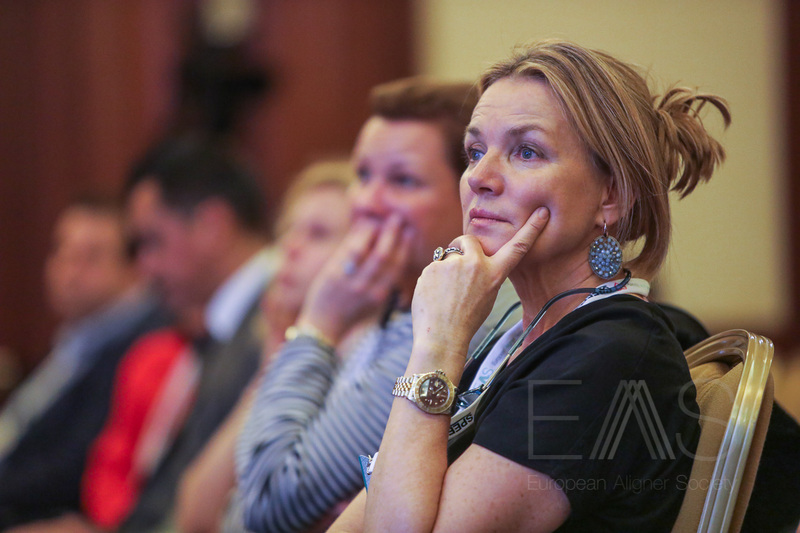 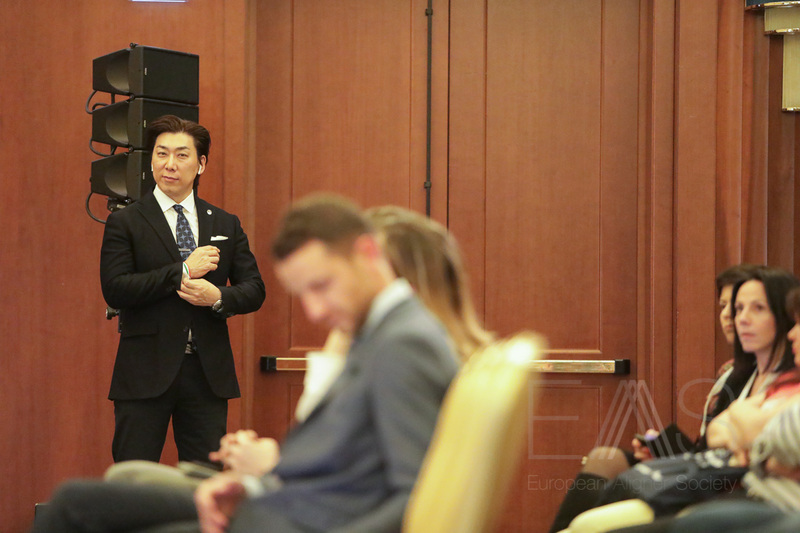 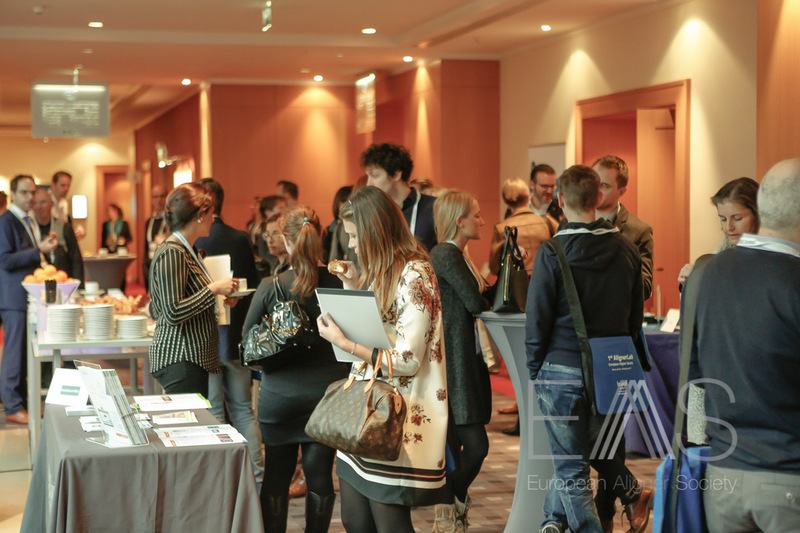 By bringing together the scientific community, clinicians, manufacturers, developers and tech companies, EAS planned to provide the most complete scientific and clinical education related to aligner therapy, building from the successes achieved in Vienna. 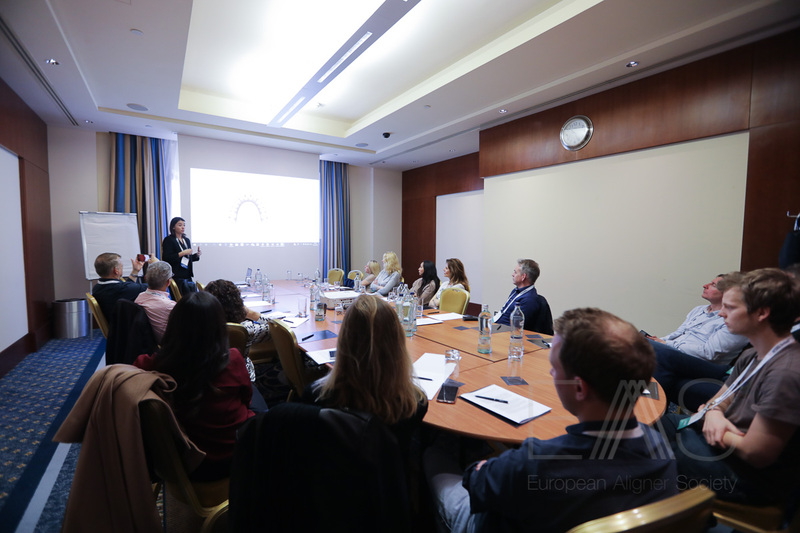 Under the theme: “Are you ready to become Invisible?” the three-day meeting covered current trends, directions, possibilities and techniques in aligner treatment. 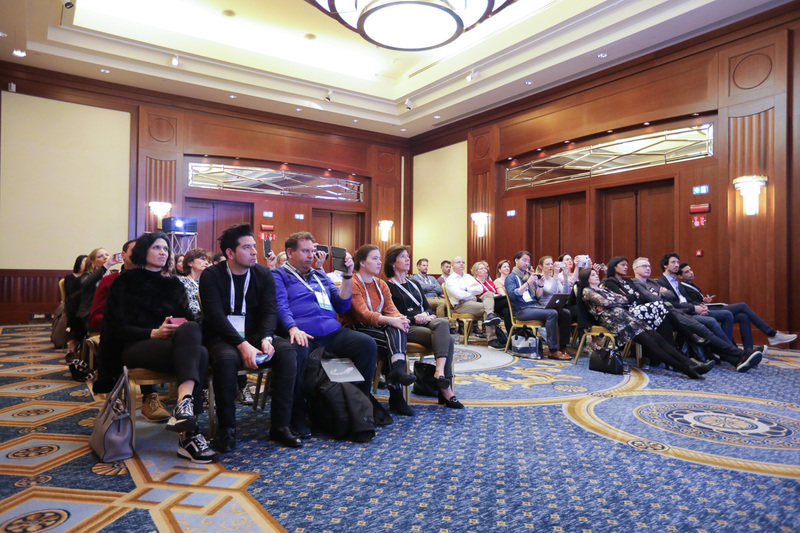 The Scientific Program featured many of the specialty’s most distinguished lecturers with presentations on biomechanics, auxiliaries, hybrid treatments, teen treatments, TADs and digital smile design. 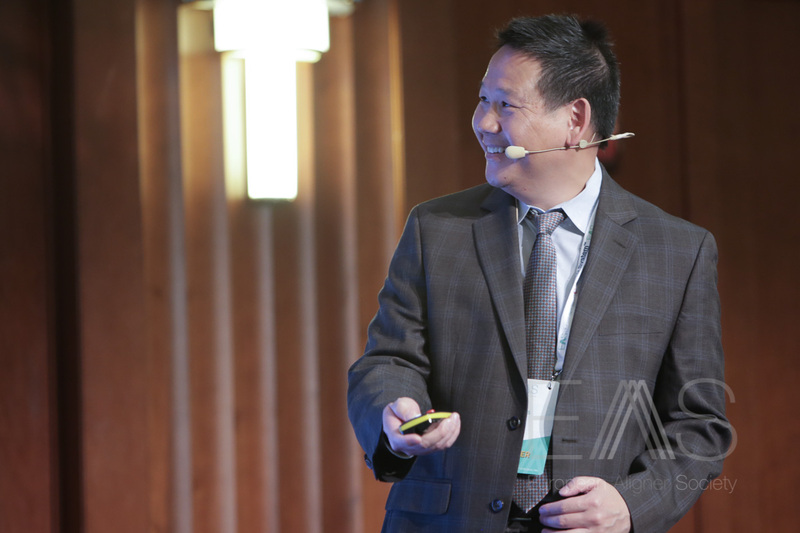 Luis Carriere, Benedict Wilmes, Junji Sugawara, John Morton and Christian Coachman were among a host of speakers – 33 in total. 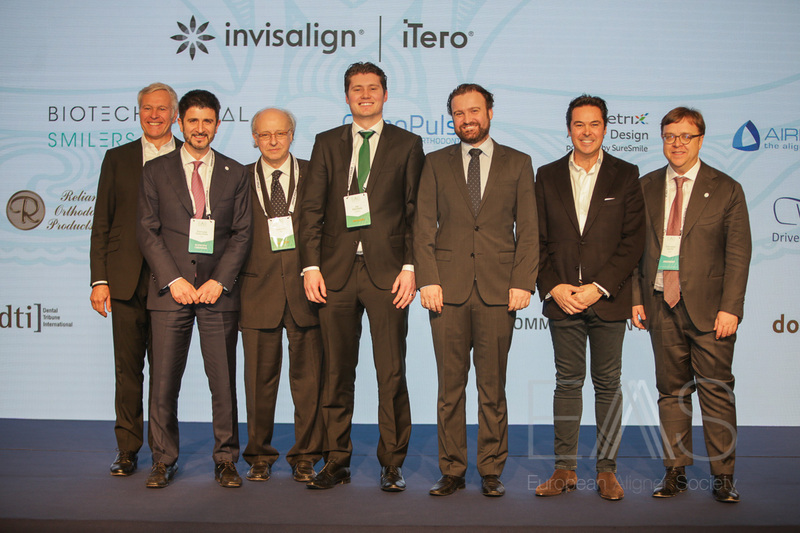 The full complement of speakers covered cases treated with different systems, the treatment of malocclusions, understanding tooth movement, an interdisciplinary approach to treatment, technical issues such as biomechanics, and digital smile design and the need for restorative dentistry to understand and incorporate orthodontics as well. 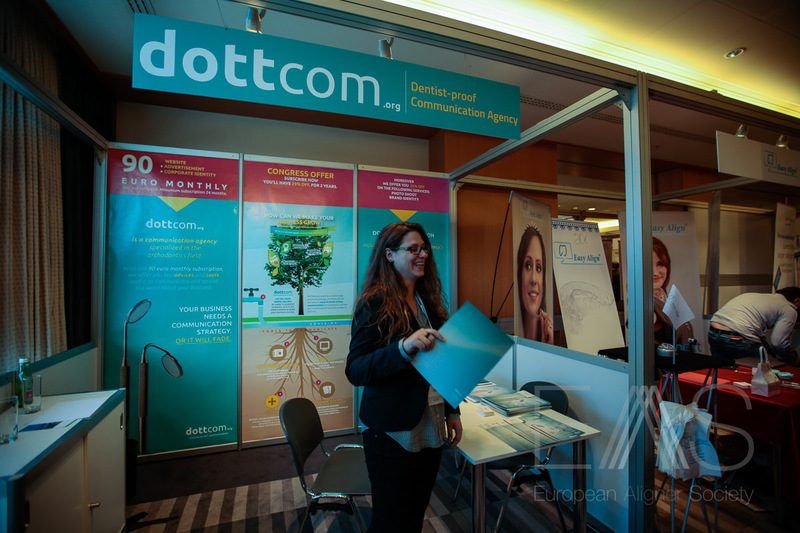 Eleven posters were also presented during the congress. 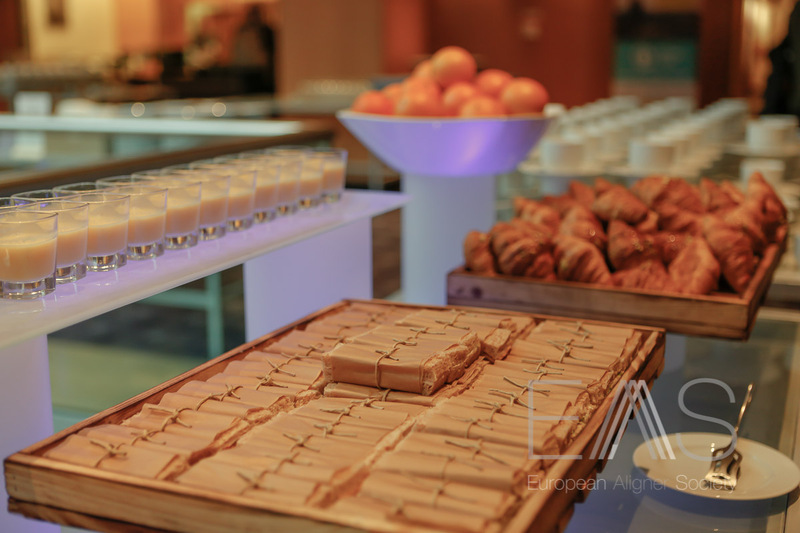 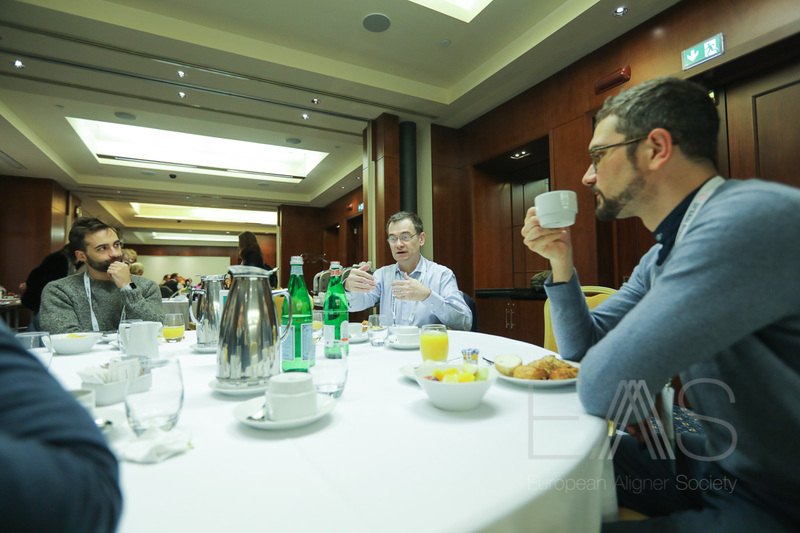 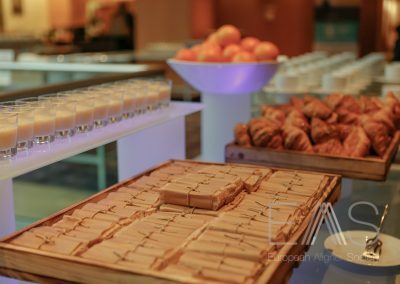 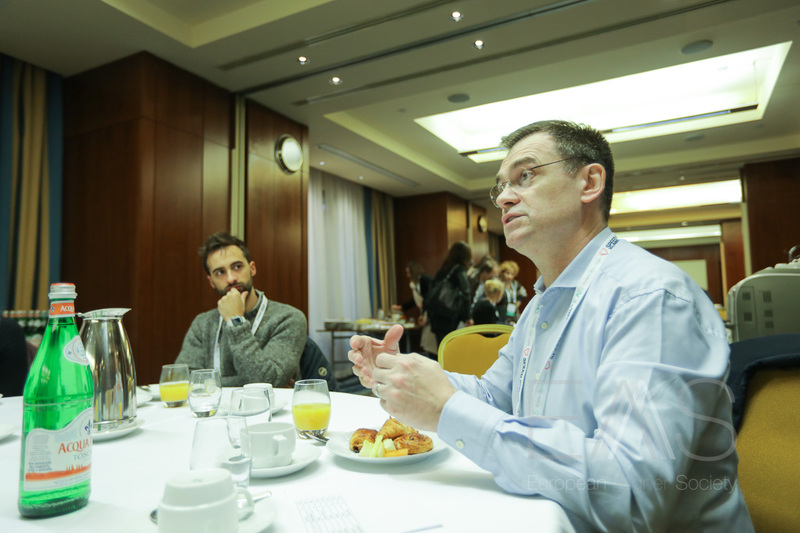 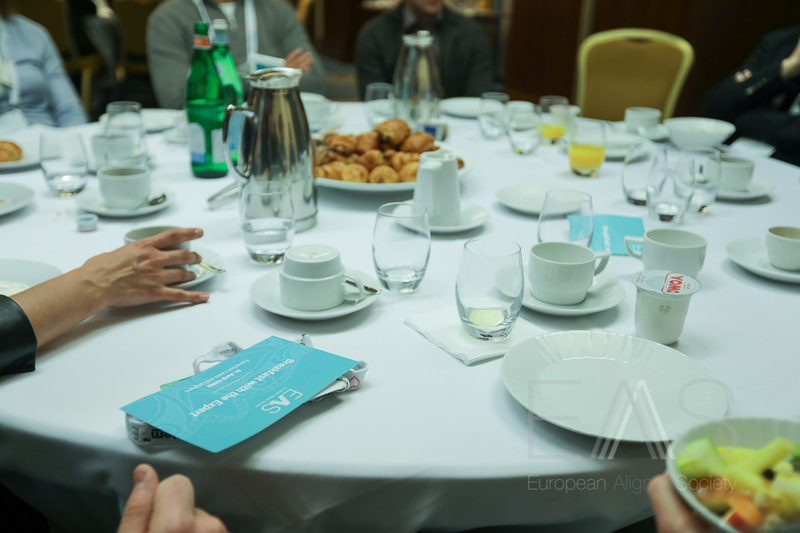 A special “Breakfast with the Expert” was held on Sunday morning in order to give to participants the opportunity of a peer-to-peer discussion with the top experts in the field of aligner orthodontics. 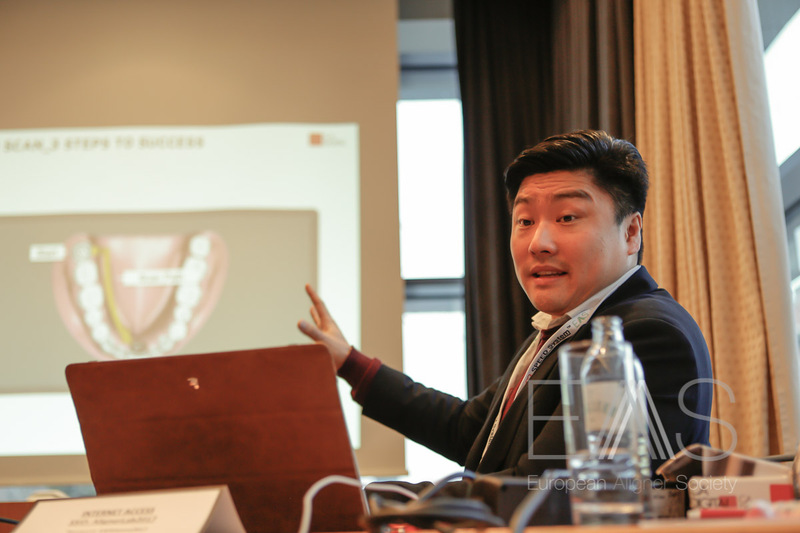 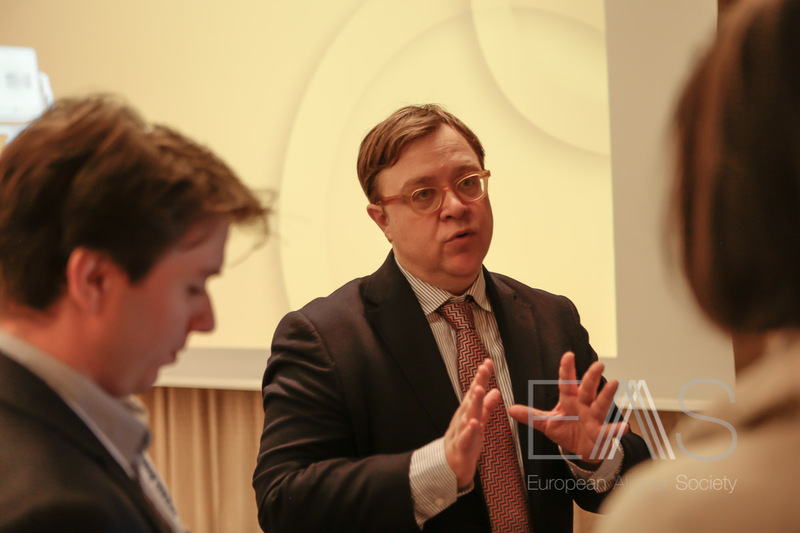 A full-day post-congress course was held on 19 February during which Dr Christian Coachman gave lectures on the digital smile design revolution, with a live patient demonstration. 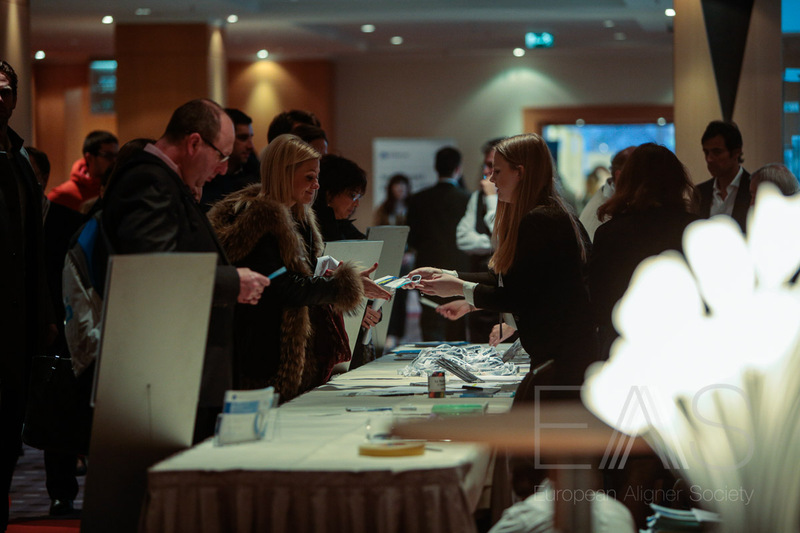 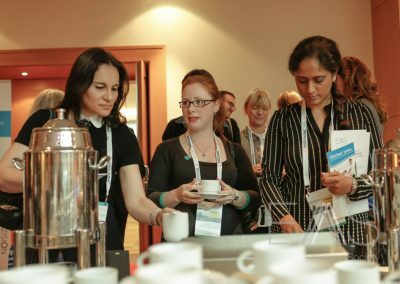 The attendance of 554 delegates confirmed that a meeting focussing on aligner therapy is both needed and greatly valued by orthodontic clinicians. 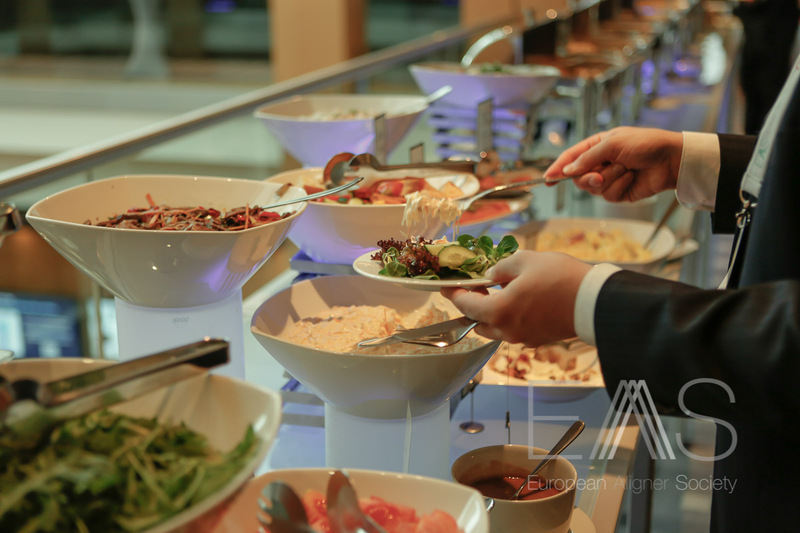 The Journal of Aligner Orthodontics, published by Quintessence, was launched as the official journal of the EAS at this event. 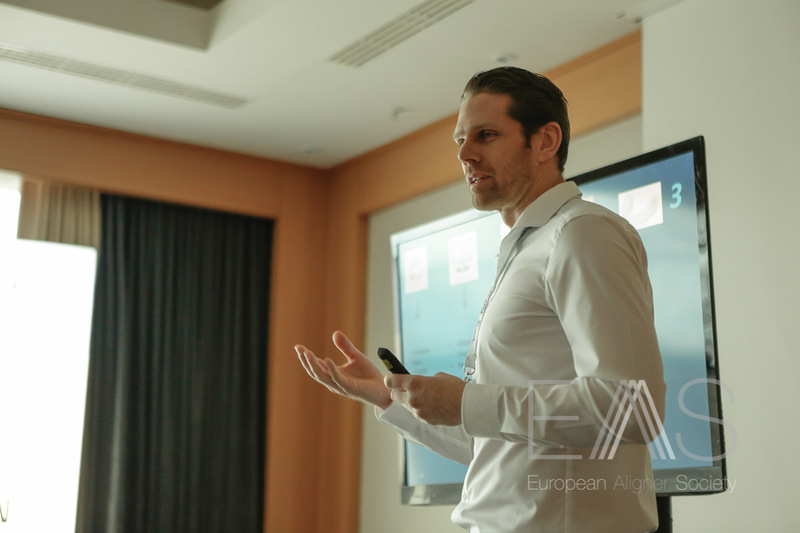 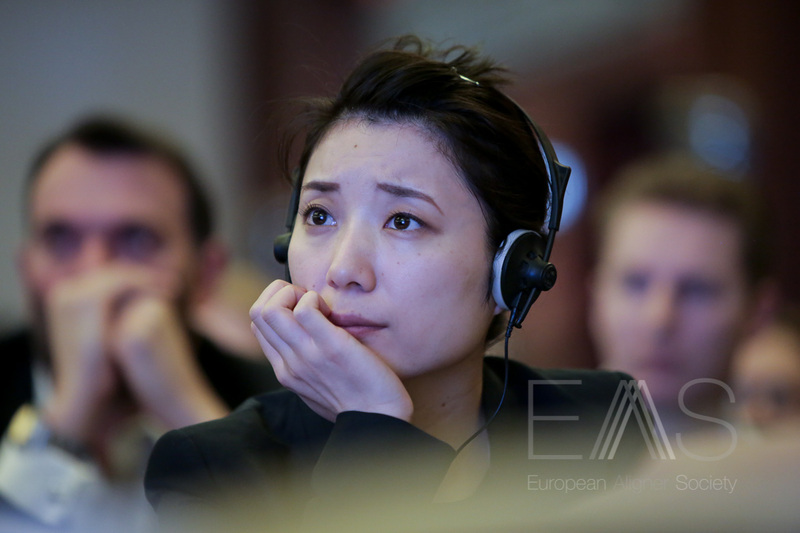 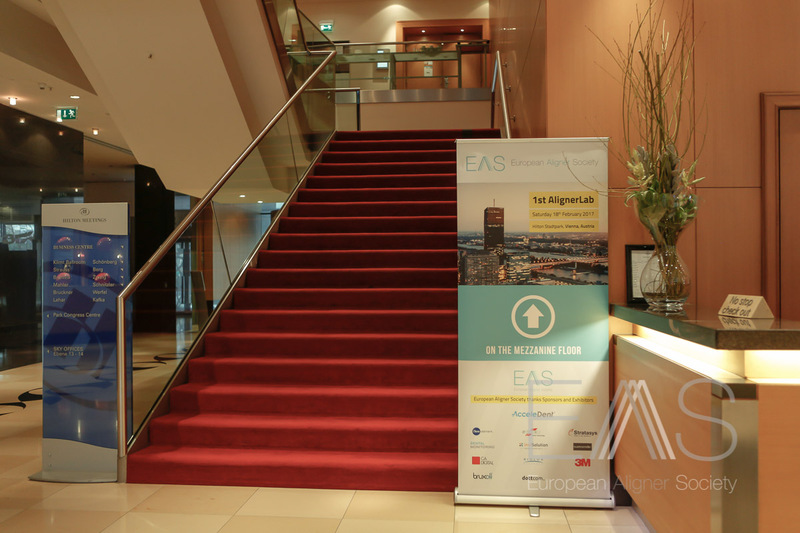 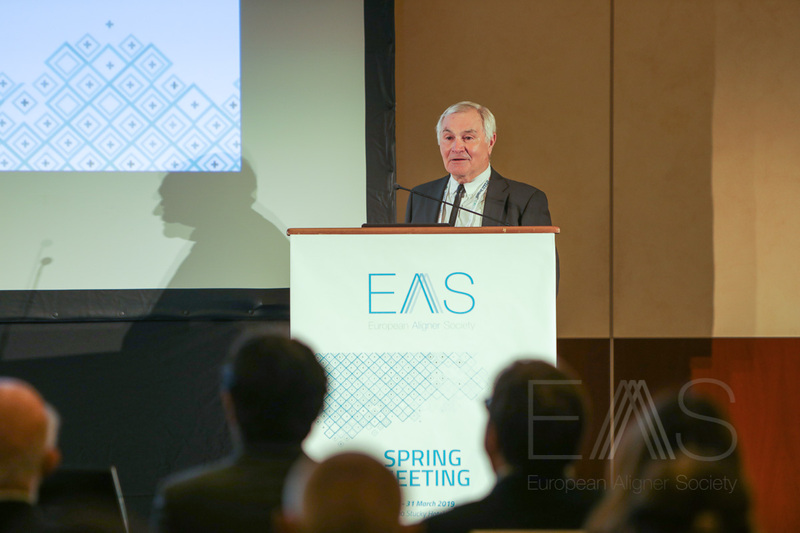 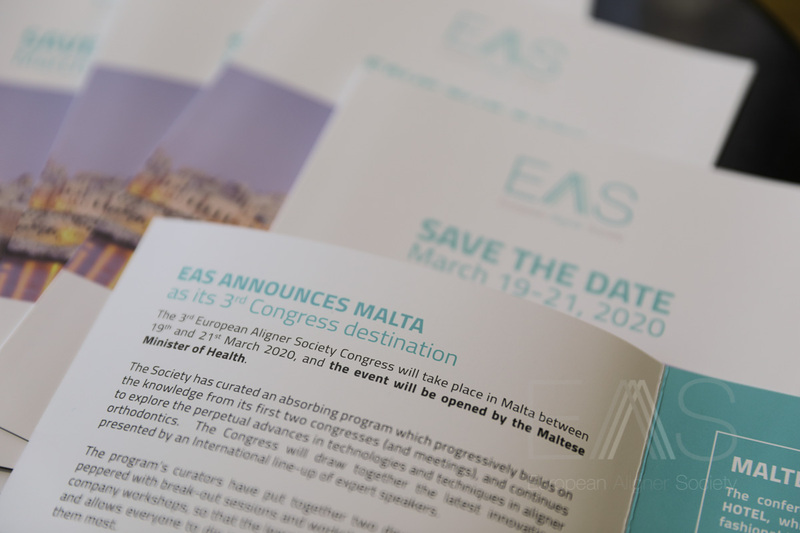 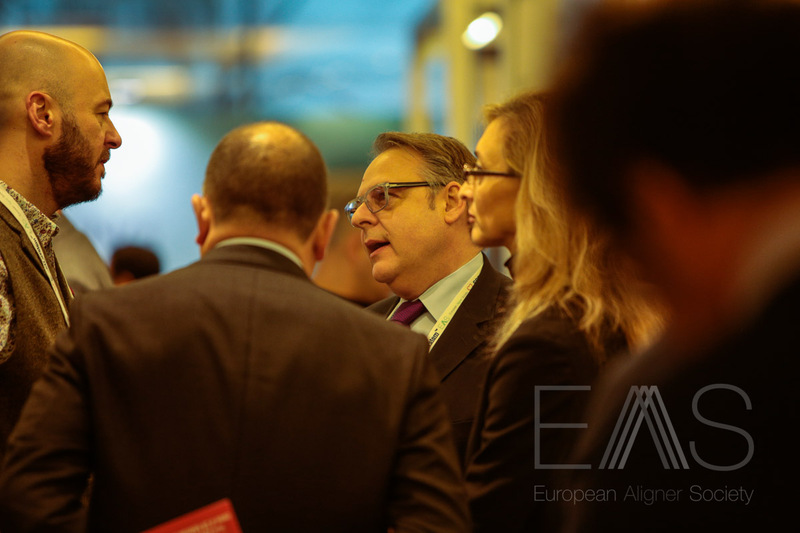 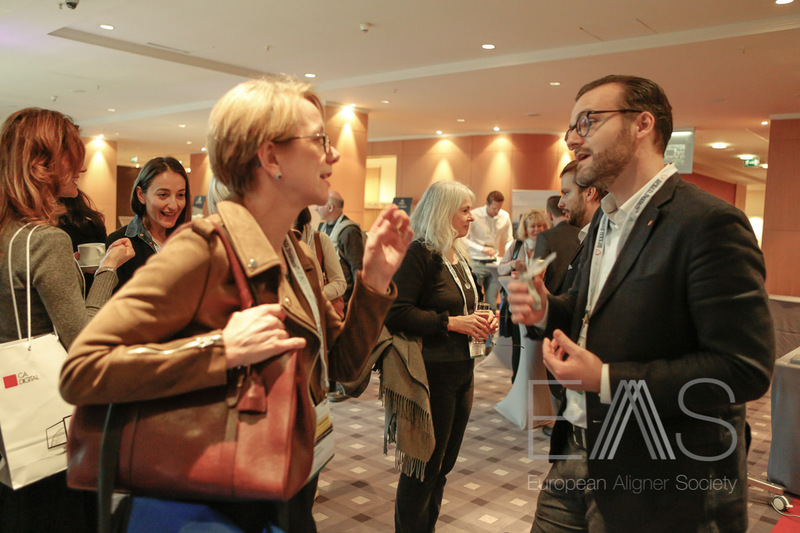 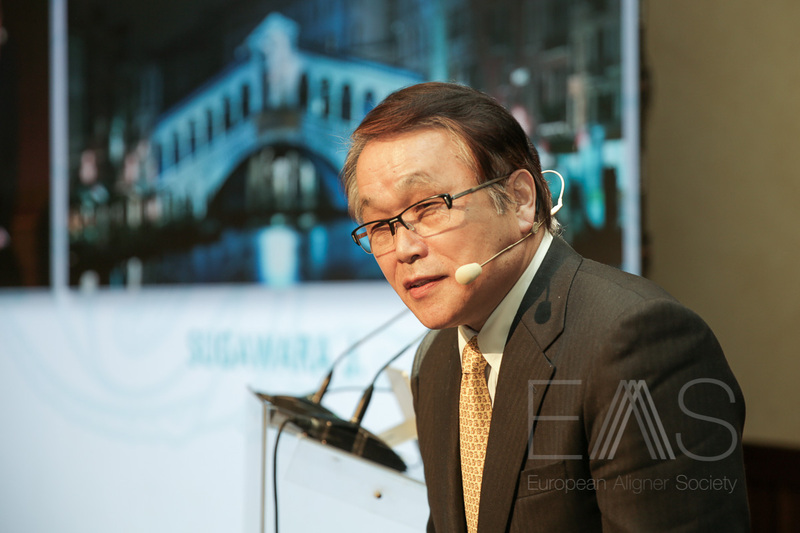 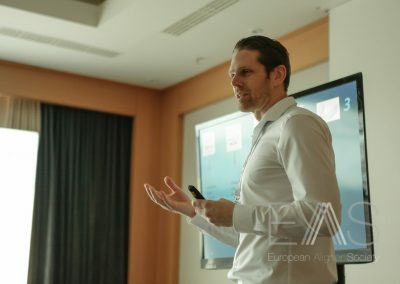 The inaugural event was followed in 2017 with a shortened 1-day Spring Meeting – EAS AlignerLab, which was held in the same venue as the 1st Congress, Vienna. 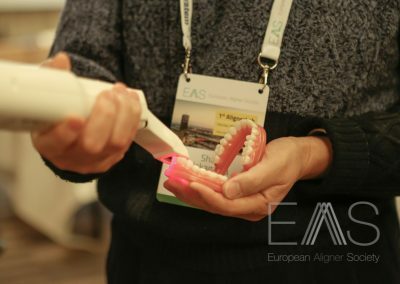 The meeting focussed on 10 subjects related to aligner therapy, ranging from 3D scanning, 3D printing, virtual assessment and treatment planning and accelerated tooth movement techniques. 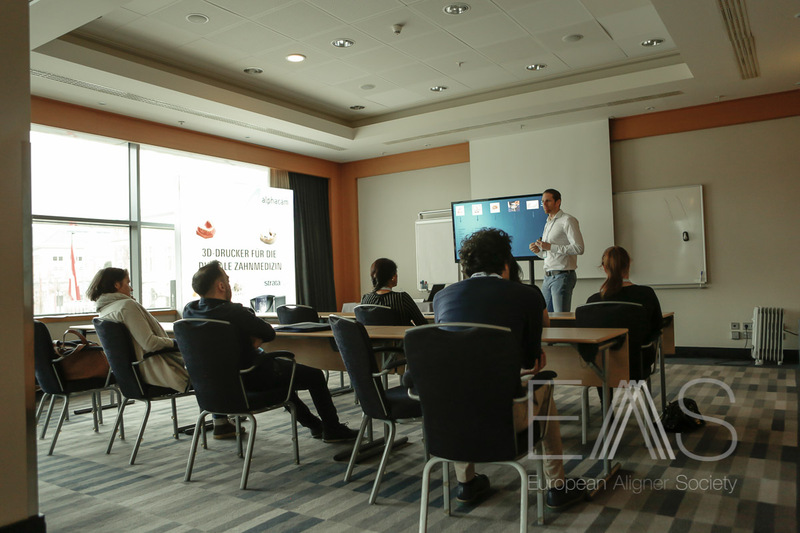 All delegates attended the 10 lecture / workshops for 45-minutes on a rolling basis throughout the day. 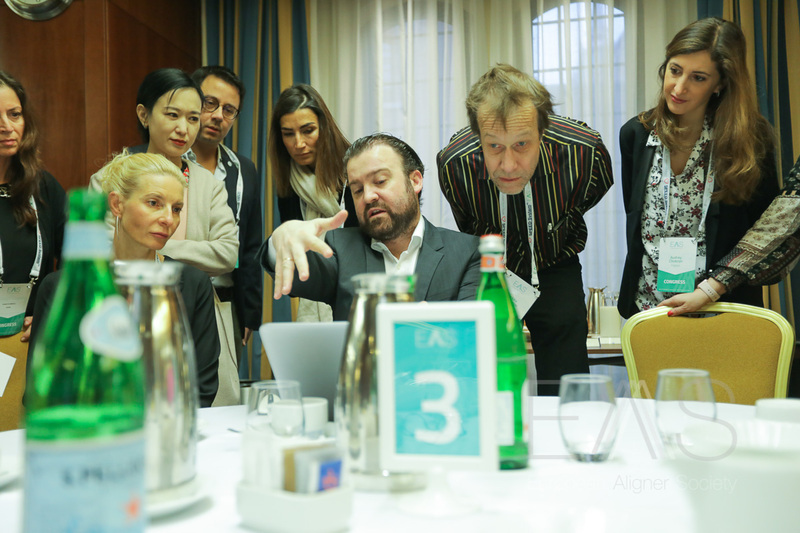 The AlignerLab concept was an innovative approach to providing clinicians with a variety of views and plenty of “pearls” on aligner subjects. 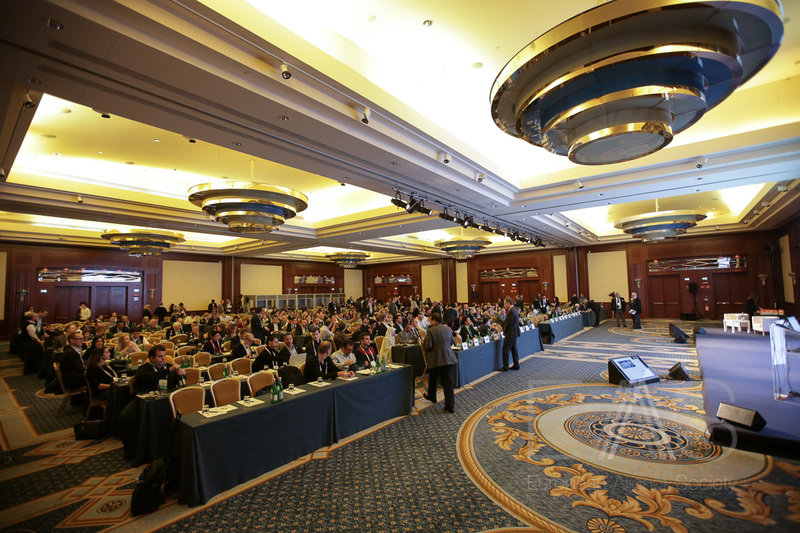 The 153 delegates enjoyed this novel approach to a one-day meeting. 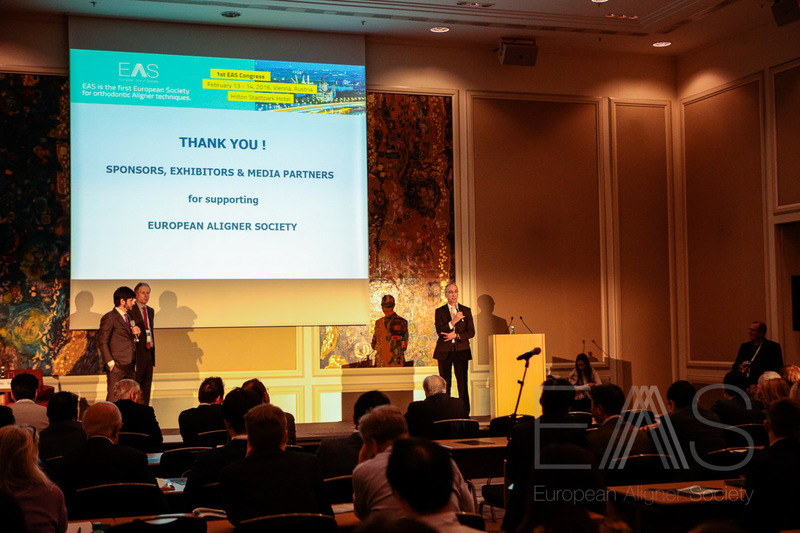 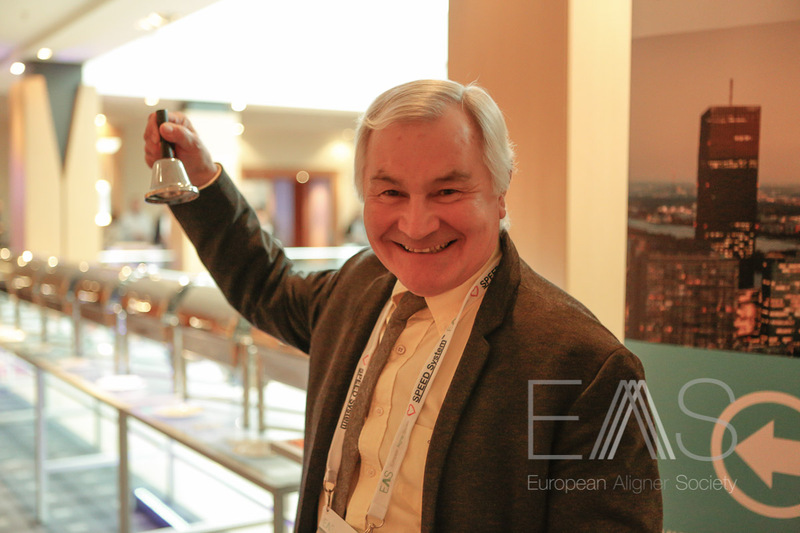 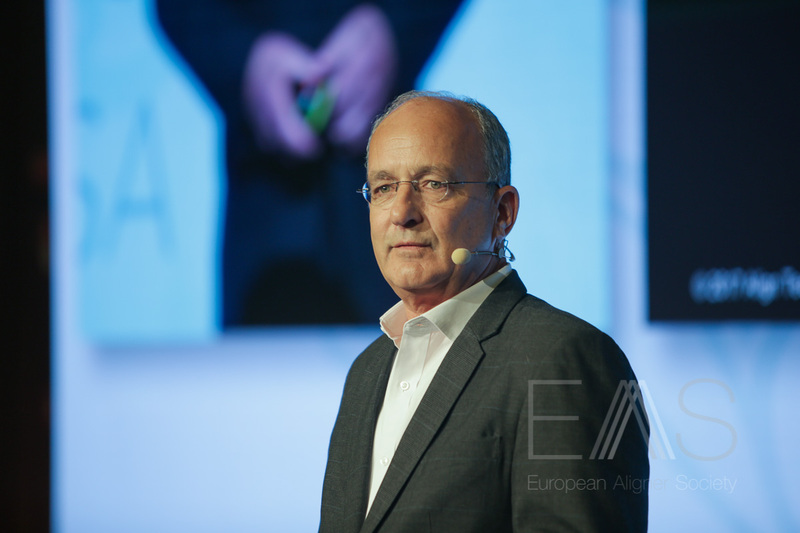 The first initiative for EAS was to hold its 1st Congress on Valentine’s weekend in February 2016 in Vienna, under the 1st President of EAS, Dr Graham Gardner. 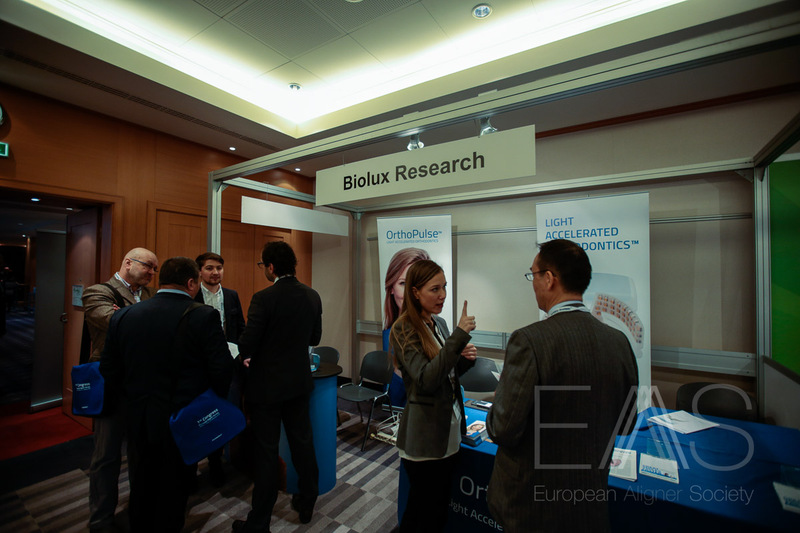 This inaugural Congress proved a great success in terms of scientific program, doctor attendance and exhibitor presence. 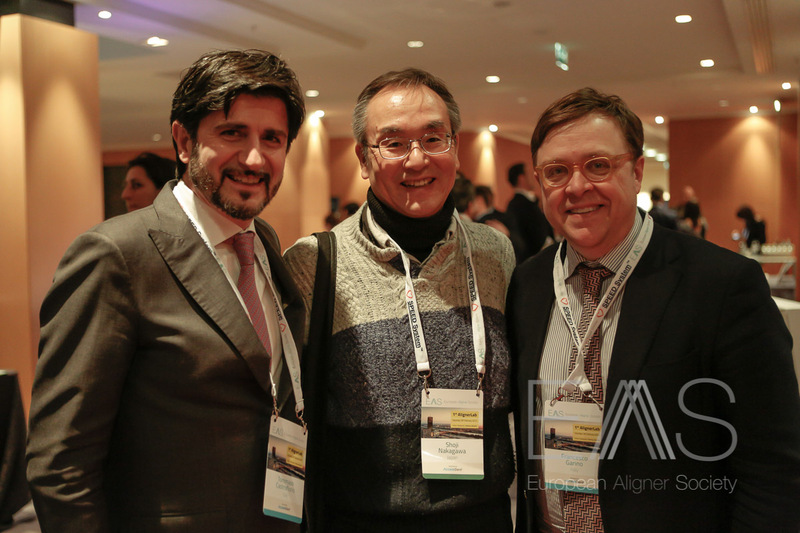 Some of the world’s leading experts in the aligner field were invited to address the inaugural Congress. 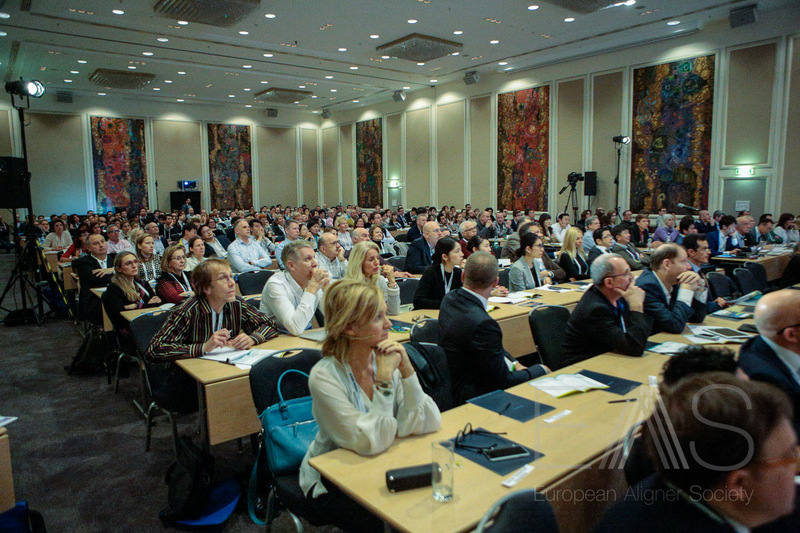 A total of 316 attendees were attracted by the potential to learn about this treatment modality at the two-day event. 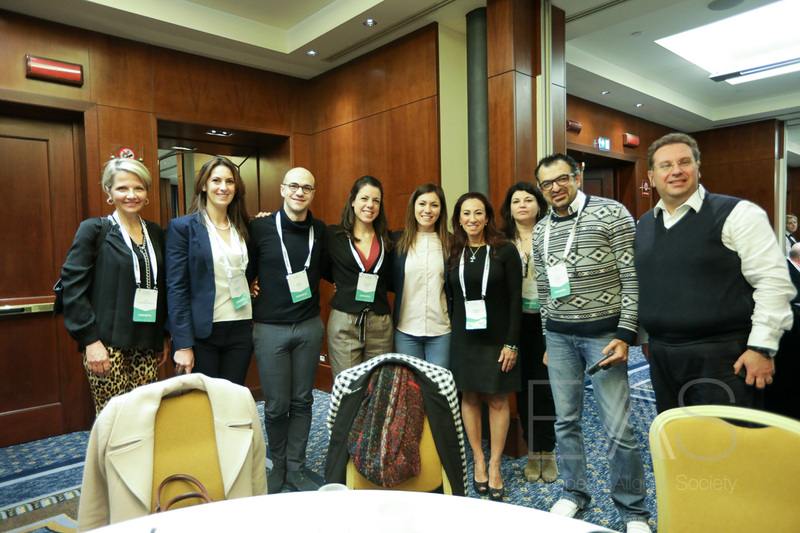 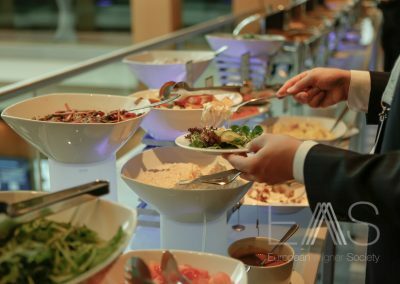 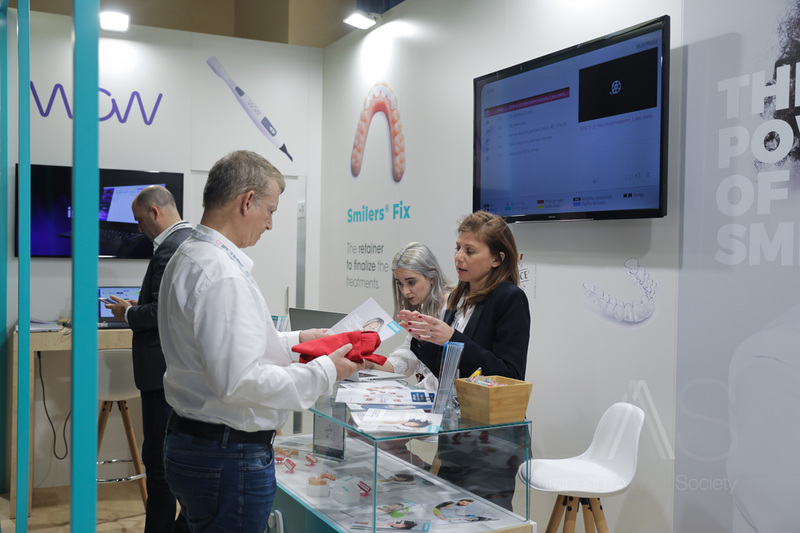 Dental professionals travelled from as far afield as attracted as Austria, Switzerland, Germany, Spain, France, the UK, Greece, Italy, Japan, Taiwan, Ukraine, and Russia – in fact in all, 42 countries from around the world were represented. 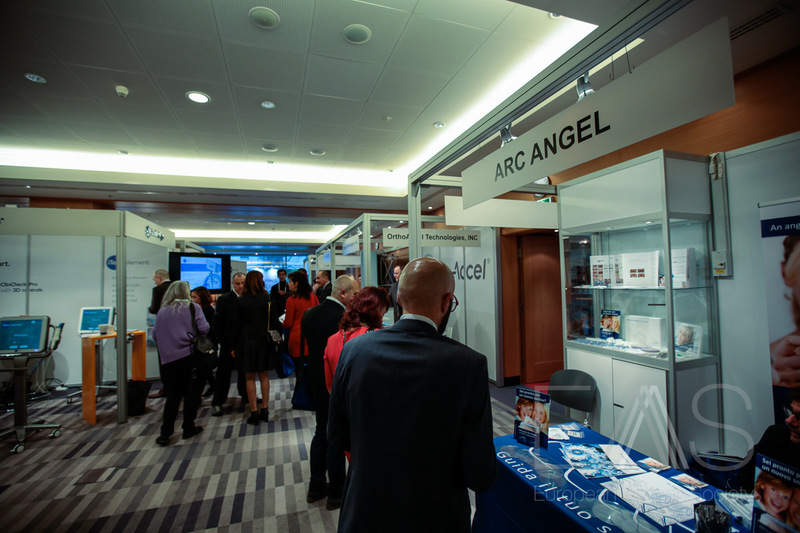 Delegates were not disappointed as they had an unrivalled opportunity to learn through 27 lectures – including a Skype video link from the USA - about the latest clinical advances, product developments and practical advice about clear aligner therapy which they could apply immediately in practice. 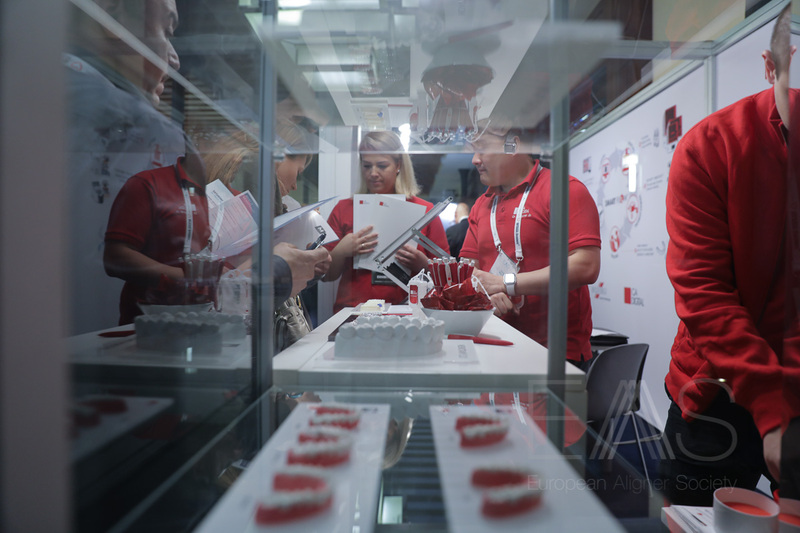 The concurrent trade exhibition, supported by twenty-two companies, complemented the scientific knowledge sharing. 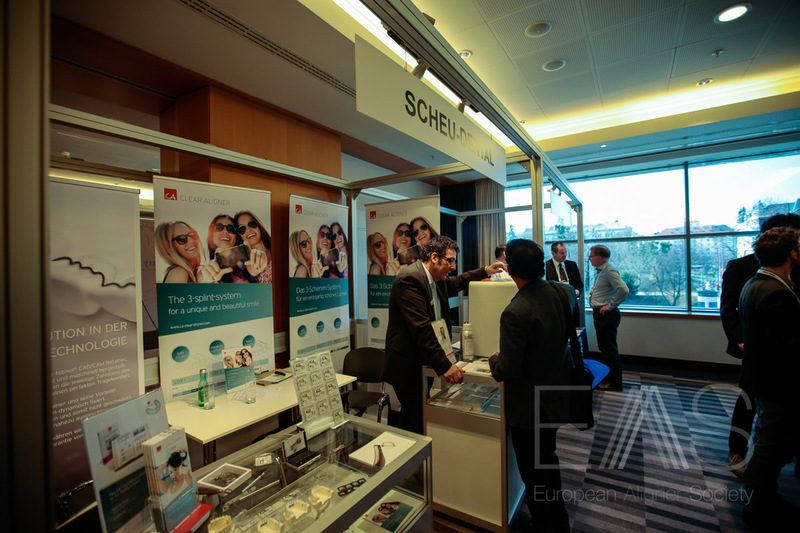 Delegates were able to compare a variety of clear aligner systems; products for accelerated orthodontic treatment as well as intra-oral scanners and 3-D printers currently available on the market.